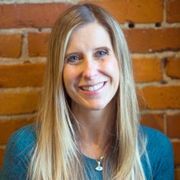 Desiree Baird, certified pediatric sleep coach, works with families to help resolve and improve baby / toddler sleep struggles. As a mom of three, including a set of twins, Desiree personally understands how important sleep is to function day-to-day. She is trained in numerous child sleep training methods and uses evidence based research when coaching parents as to how to achieve overall sleep success. Desiree works closely with parents to develop a customized plan to meet their little one's needs while matching their parenting style. She takes on a limited amount of clients per month to ensure they get the attentation they need and deserve. As a twin mom, she has naturally worked with many twin famlies, and considers herself to be a twin specialist. Tired? Give Desiree a call. Rate and review Desiree Baird LLC, Pediatric Sleep Coach in Everett, WA, United States! Share your experiences at Desiree Baird LLC, Pediatric Sleep Coach with your friends or discover more Psychologists in Everett, WA, United States.